Legalized Recreational Marijuana | What Are the New Regulations? Even if Jeff Session’s won’t give up his battle against decriminalization of recreational cannabis, at least the year set off with some good news for California. As of January 1, the state had legalized marijuana. Currently adults, 21 and above, can lawfully buy recreational marijuana in California. How about this for a change? You can nowadays fearlessly march into a dispensary or even have the pot delivered to your apartment without feeling paranoid. Market experts keeping an eye on the cannabis industry have spotted it as an ever-growing enterprise. Soon, the likes of Sessions will lay down arms, especially now that it’s being embraced by many other areas like fitness and healthcare to culinary experiences. And now, we can only expect other states to join the weed party. So far, six states have decriminalized pot and Massachusetts will soon join the group come July 2018. But the drug still has some restrictions to look out for; so before you light some pot, know what’s right! Confirm what you can and cannot do according to the Medical and Adult Use Cannabis regulation and Safety Act (MAUCRSA). The only official requirement is a legal government-issued ID showing you’re 21 or above. However, bear in mind that regulations vary by state— each has the right to lay down local rules governing cultivation, distribution, and sale of marijuana. The only exceptions are those with state-certified medical cards, which shouldn’t be confused with the medical recommendation from marijuana doctors. Every time you buy, you pay sales tax and use tax on top of your local tax. Sorry, you still can’t smoke or carry cannabis anywhere you want! It is still not legal to use your cannabis in public areas, as well as within 1,000 ft of an education or youth center. However, this nearness-to-children rule doesn’t apply if you’re baking your pot in a private house and the smell isn’t detectable. Plus, you can’t also drive while high drive or have an unsealed/open package of pot in your vehicle (unless kept on the car trunk). Lastly, crossing state borders or flying with pot will expose you to a “possession of controlled substance’ lawsuit. How much weed can be legally carried around? 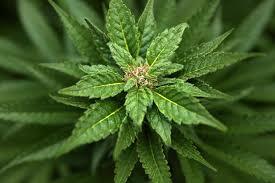 Over 21s can carry 28.5g or an ounce of marijuana in flower forms. Or 8.0g of concentrate in oil, dabs or hash. You can grow your marijuana, but with LIMITS! Legally, you can grow up to 6 plants at a go on your private property. Growing is prohibited in open backyards if you reside near public spaces. It’s also illegal to sell or distribute your harvest. The above laws apply to most if not all states, apart from a few tweaks each county can legally make to ensure further control of pot. This entry was posted in California Marijuana, Recreational Marijuana and tagged Buy Recreational Marijuana in California, California Marijuana by admin. Bookmark the permalink.